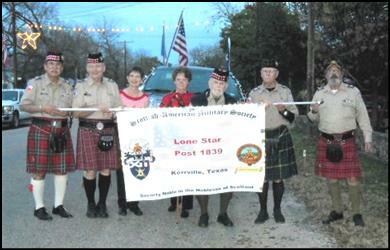 Post 1838, Night Christmas Parade, Comfort, Texas. L-R: George Cummins Vieyra, Bill & Vera Bang, Lynda Mulhern, Elton Stilwell, Ron Mulhern and Roy Garrison. 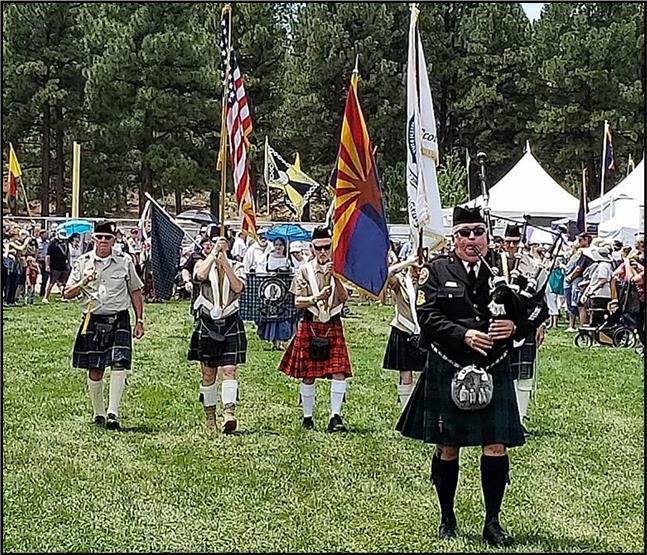 The parade, events, music and comradeship were great. 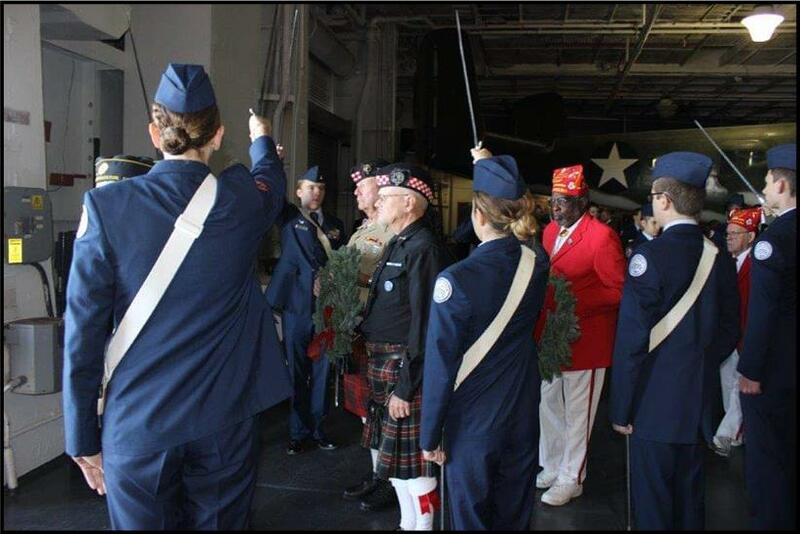 Post 1860 presenting Pearl Harbor wreath aboard the USS Yorktown, Charleston. 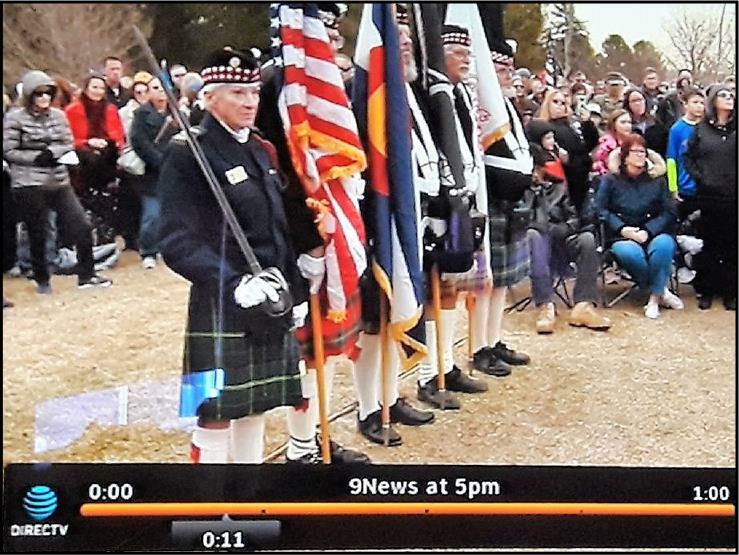 Jim Calvert with wreath and Kent Stewart. Honor Guard, Wando H. S. JROTC from Mt. Pleasant, South Carolina. 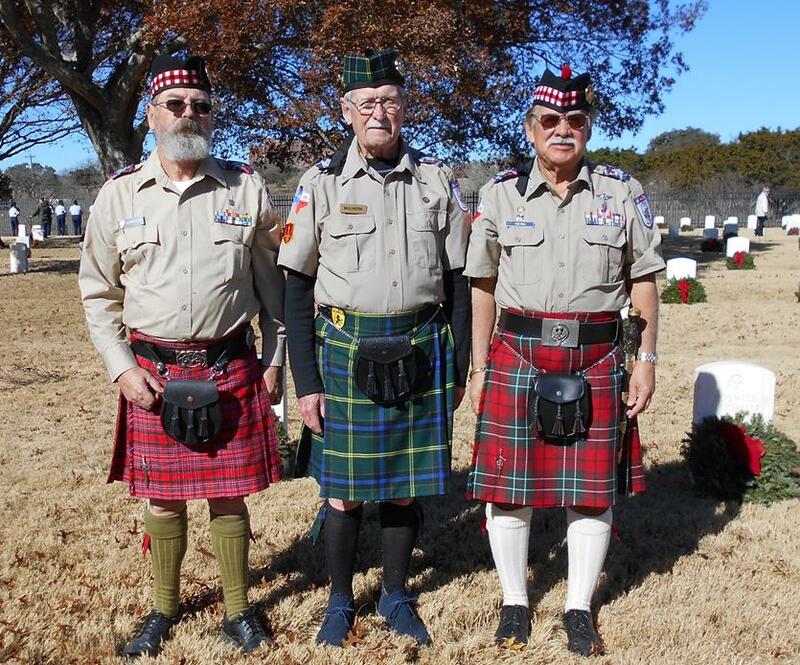 15 Dec Texas Post 1839 participating in the Wreaths Across America at Kerrville National Cemetery. 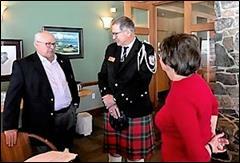 L-R: Roy Garrison, Ron Mulhern and George Cummins Vieyra.